I offer one-on-one sliding-scale herbal consultations and custom herbal formulations. An initial consultation takes about 2 hours. We will go over your health concerns, your goals, and health history. You bring the knowledge of what it's like to live in your body everyday, and I will bring my knowledge of medicinal plants, human physiology, and nutrition. We'll talk about simple nutritional and lifestyle changes, as well as herbal medicine that can help you achieve your health goals. I have an apothecary for clients where I sell affordable tea, tinctures, and powders. My office is located at 707 S. 50th St., at the Center for Cultural Resilience, shared with Kol Tzedek and Jewish Farm School. It is located on the second floor with no elevator. If that's an issue, I'm happy to come to you or find different, accessible place we can meet. Please fill this out and bring with you to our appointment, paper or email works. Please read this before we start working together. I teach classes that encourage people to take their health care into their hands. 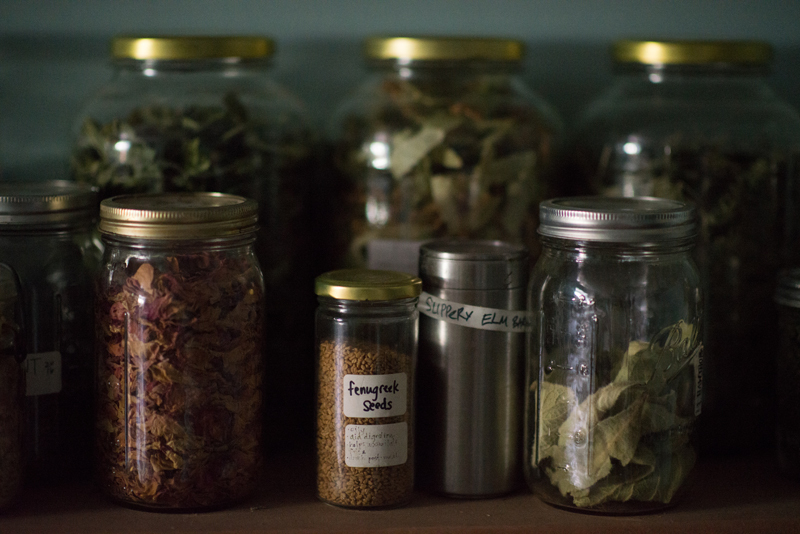 Building Your Home Apothecary is an 8 month intro to herbalism course March - October 2019. Registration will open mid-Dec 2018. 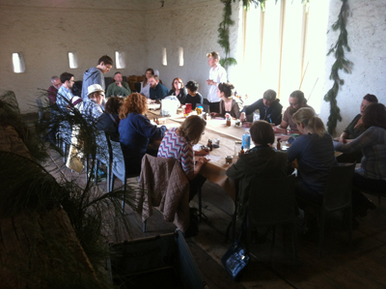 I currently offer regular herbal workshops at Bartram's Garden. Since moving to Philly, I have also taught at Mariposa Coop, the Philadelphia Trans Health Conference, Jewish Farm School, Greensgrow, the Philadelphia Free Library, Wissahickon Valley Watershed Association, Wissahickon Valley Public Library, and living rooms in West Philly. Classes are usually $5 - $15 / hour / person, or free. Contact me if you are interested in having me speak to your group or about a topic you don't see here.